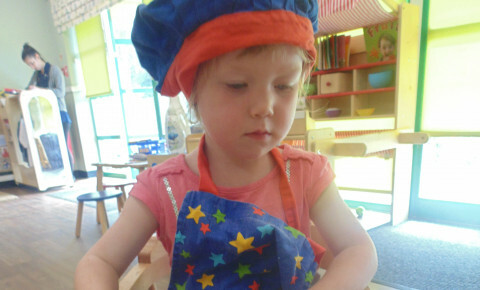 Today the Toddlers have been busy creating their own Pizzas. 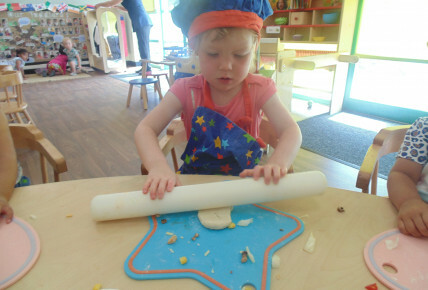 From a home observation of a child baking and creating their own Pizza we decided to try the same out at Nursery so all the children could interact together about their own creations. 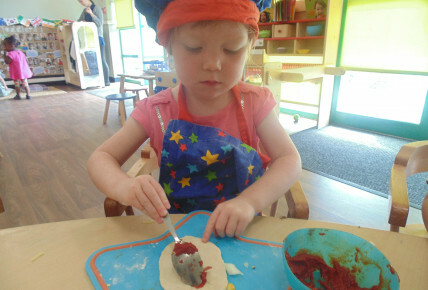 We had various different toppings to choose from, the children could put as much or as little on as they wanted. They also had to weigh out the flour, roll out the dough and make sure our Chefs knew exactly how long they needed to be cooked for. Upon collection, we had some very happy children munching on their Pizzas on the way to the car. If you would like to be involved in activities like this, please give Emma a call on 01332 518888.